Franklin Delano Roosevelt’s momument is a favorite for our family. it rambles along the Tidal Basin, granite walls inscribed with quotes from significant moments divide the memorial into his four terms. In the midst of it all is his wife Eleanor. She was still alive when I was a child moving into adulthood. I was captivated by her strength, charm, fearlessness, and no-nonsense approach to problems of the day. 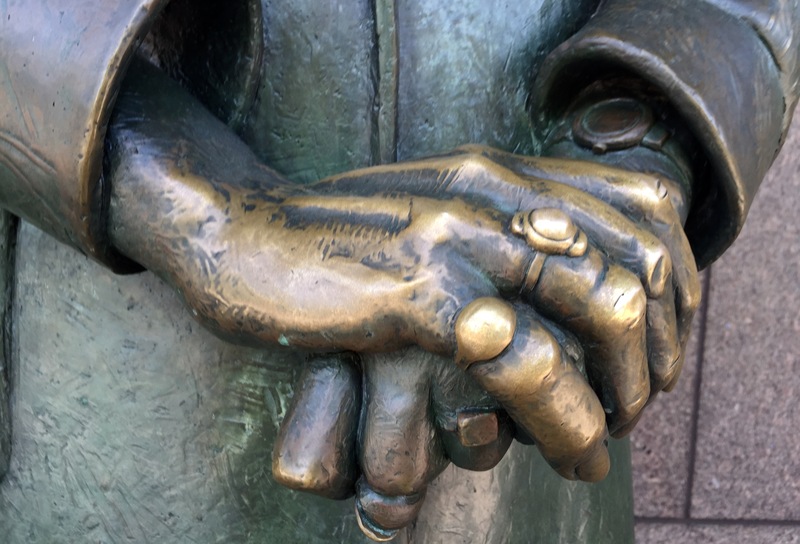 These hands, pictured in bronze, were never at rest.